Hi Denis Richardson I was at Billericay school at the same time as you.I was friends with John Mc Kenna and was keen on sport. Sorry to say that I don’t remember you by name but we must have known each other. Sparrow was a nickname given to me by Billy Hughs. I was so pleased to see this photo of my Dad Ray! He is still with us and talks fondly of his time at Billericay School, I also went there in the late 60’s. He had moved to Craylands by that time and then again to his final school, Appleton at Benfleet, where he was head of woodwork, metalwork & technical drawing. My dad Ron Baines is on the top row far left, if anyone remembers him. I knew/know both of them. Who/where are you? Editors Note: We are happy to pass on details to other users, but because of our security policy we cannot publish email addresses on the site. I am trying to trace an old pupil. Richard Alfred Matthews who was close friends with Philip Parks – does anyone remember either of them? Can anyone help me trace what happened to Richard? 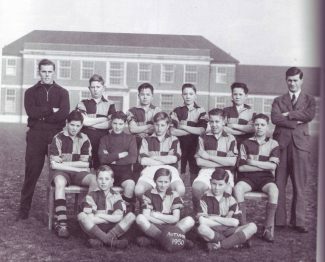 I was at the school from 1951 until 1954 and if my memory serves me correct I am on the above photo,and can remember both Mr Eden and Mr Yardley well. During this period I represented the school at both football and cricket. The time spent at the school helped to put me on the road to success in later life. I was at the school from 1946 until March 1950. I was captain of the football team and can still recall some of the boys in the photo. Incidentally Mr P.G.’Tiggy” White retired and Mr Eden replaced him as headmaster. 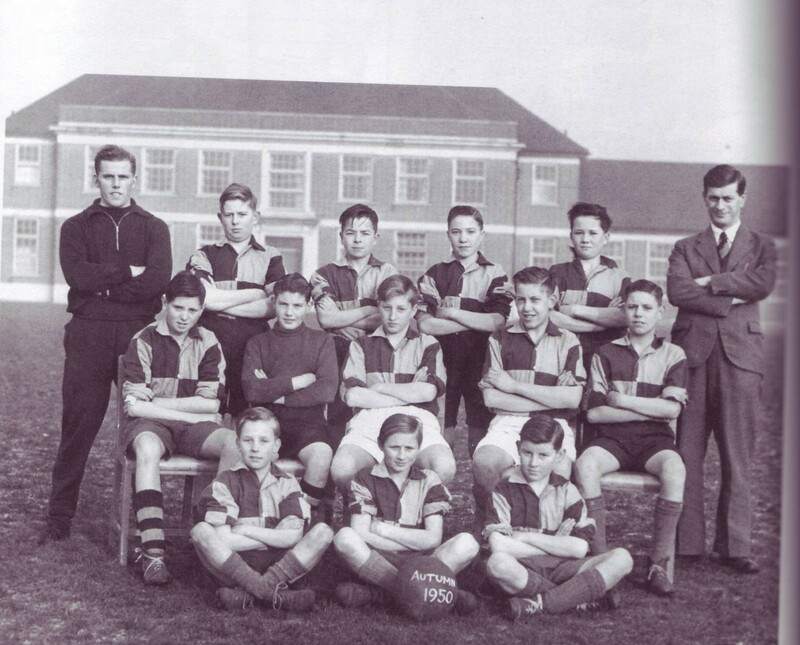 Prior to Mr Yardley Mr ‘Trotter’ Whitworth was sports master and had a great impact on my football career.